There are a significant number of propulsion system options that have been studied and reported. In this chapter 14 different classes of propulsion systems are discussed that are suitable for either hypersonic flight or space launchers. The authors have focused on those that are applicable to SSTO transatmospheric vehicles and hypersonic cruise vehicles. If the rocket ascent to orbit is deleted from the analysis then a SSTO that uses airbreathing propulsion to Mach 10 is essentially the first stage of a TSTO vehicle. At the end of this chapter there is a comparison between SSTO and TSTO vehicle sizing that is the work of the late Jean Vandenkerckhove in collaboration with the authors. The intent is to define the SSTO weight ratio and the on-board oxygen ratio carried by the vehicle. As we have seen in Chapter 3 the less the weight ratio and the oxygen-to-fuel ratio, the smaller the size and gross weight of the vehicle. In terms of mass ratio to orbital speed and of oxidizer-to-fuel ratio, the authors examined six principal propulsion categories with hydrogen as fuel, as shown in Figures 3.3 and 3.4. The term "thermally integrated" is used in the description of these categories: that means the hydrogen fuel passes through both engines in the combined cycle and collects available thermal energy normally discarded as "cooling heat", turning that energy into useful work. How to do that could be by driving closed-loop power extraction units [Ahern, 1983], or expansion turbines, or by converting heat into thrust. The combined cycle concept dates back 40 years [Escher, 1998] and goes to The Marquardt Company. (Marquardt had a propulsion concept that could go hypersonic using a single engine [Escher, 1994, 1996].) One of The Marquardt Company's concept incorporated folding rotating machinery [Escher et al., 1993] into their cycle; however, it was still a single engine that could go from takeoff to hypersonic speed. (1) The first category is the liquid propellant, chemical rocket and rocket-derived air-augmented propulsion, where the primary propulsion element is a rocket motor. Solid rockets and hybrid rockets are not included as they are inherently expendable, limited-use propulsion not applicable to sustained-use vehicles. 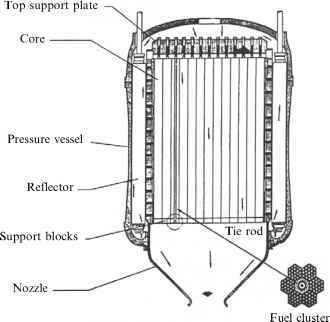 (2) The second category is the airbreathing rocket, where the propulsion elements are a rocket motor and an air/fuel heat exchanger that supplies the rocket motor with atmospheric air as oxidizer over part of its trajectory. The British HOTOL concept developed by Alan Bond is such a propulsion system. (3) The third category is the thermally integrated rocket-ram/scramjet engine as a combined cycle propulsion system where the principal element is a rocket ejector ramjet/scramjet. The rocket ejector provides both thrust and low-speed compression. The rocket ejectors in the ram/scramjet are fuel ejectors when the thrust/compression augmentation is not required. Jean Vandenkerckhove "Hyperjet" was in this class of engines. (4) The fourth category is a combined cycle based on a thermally integrated rocket and turbojet (often cited in the literature as "KLIN" cycle). In this case thermal integration provides the turbojet precompressor cooling for higher Mach number operation and greater thrust, and the thermal energy recovered from the turbojet improves the rocket expander cycle operation. Invented by V.V. Baliepin, formerly at the Russian center TsIAM, it is the only know such thermally integrated, turbine based, combined cycle propulsion system. (5) The fifth category is a combined cycle consisting of an airbreathing rocket thermally integrated with a rocket ejector ram/scramjet. This system was first reported by A. Rudakov and V. Baliepin in 1991 at an SAE Aerospace America Conference in Dayton, Ohio. (6) The sixth category is the thermally integrated engine combined cycle propulsion analogous to the fifth category, except the thermally processed air is separated into nearly pure liquefied oxygen (so-called "enriched air") and oxygen-poor nitrogen, with the liquid-oxygen-enriched air stored for later use in the rocket engine. The oxygen-poor nitrogen is introduced into the ramjet engine creating a by-pass ramjet. With the greater mass flow and reduced exhaust velocity the propulsion efficiency is increased. (7) There is a seventh category spanning the above categories. In fact, the engines discussed in the above are all continuously running engines. In World War II the V-1 flying bomb was powered by a pulsejet, or pulse detonation engine (PDE). This engine is an intermittently firing engine, consisting of an acoustically tuned pipe fed an explosive mixture inside that, when ignited, sends the combustion products wave traveling down the pipe. After the products exit the tube, the tube is effectively scavenged, new fuel is then injected and a new mixture forms, sort of reloading the tube. The ignition process is then repeated, starting a new cycle. This periodic operation gives the PDE a characteristic cyclic rate and the characteristic sound that, in the V-1's case gained it the nickname of ''buzz bomb''. Three PDE versions of the continuous operation engines are included in the discussion at the end of this chapter. The first is a pulse detonation rocket (PDR) and the remaining two are PDE-ramjet and PDE-scramjet combined cycles. As a reminder, thermal integration means that the fuel passes through both rocket and the scramjet to scavenge rejected heat and convert it into useful work before entering the combustion chambers, increasing the specific impulse. There is a discussion of each engine cycle in this chapter. But before proceeding with it, there are operational considerations giving additional insight into the application of the propulsion system to a launcher, that are presented in Table 4.4. There are three general performance groups. One that has no airbreathing capability, another that can reach Mach 5 to 6 airbreathing, and the last group that can reach Mach 6 to 14, again in airbreathing operation. The nominal SSTO mass ratios to orbital speed and the normal airbreathing speeds at their transition to rocket propulsion are given in the top rows. As with all launchers, until the mass ratio is less than four, horizontal takeoff is not possible and vertical takeoff, horizontal landing (VTOHL) will be the takeoff' and landing mode assumed. Table 4.4. Comparison of continuous operation propulsion cycles.